Over the summer, NCHS graduating senior Felicia Cunningham won the WVSSAC Program Cover Contest for baseball. Felicia designed her winning cover in her desktop publishing class taught by Mrs. Murphy. 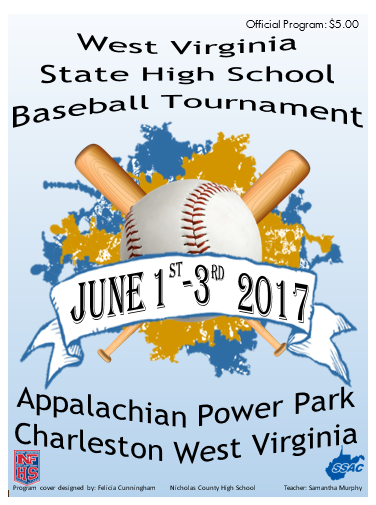 Felicia’s cover was featured on the program at the West Virginia State High School Baseball Tournament at the Appalachian Power Park from June 1st– June 3rd, 2017. Felicia Cunningham’s cover is the third cover from NCHS to win the contest and the $200 scholarship from WVSSAC.